Curtis Smith: Congratulations on Thank Your Lucky Stars. I’m always interested in a book’s journey. Can you tell us how it came into the world? Sherrie Flick: Thanks Curtis! Thank Your Lucky Stars came into the world in fits and starts. It was formed as I culled the stories for my first full-length collection Whiskey, Etc., around 2012. Stories that didn’t quite fit in that manuscript got cut and pasted into a Word doc I was keeping on the side. After I felt good about the shape and length of Whiskey, I turned back to that document and realized that many of the stories had a similar feel and tone—a little darker, a little edgier. I like to think of Thank Your Lucky Stars as the B-side of Whiskey, Etc. So, both manuscripts were assembled at about the same time. I placed Whiskey, Etc. with Queen’s Ferry Press in 2015 and it came out in 2016. Some time in 2016 I placed the manuscript that would become Thank Your Lucky Stars (it wasn’t titled that yet) with Autumn House Press and it was slated for publication in 2018. Then Queen’s Ferry Press imploded and Autumn House agreed to take on Whiskey, Etc., too. So, it’s nice to have both books with the same press—like a little box set. They’re both the same size and look nice on the shelf next to each other. 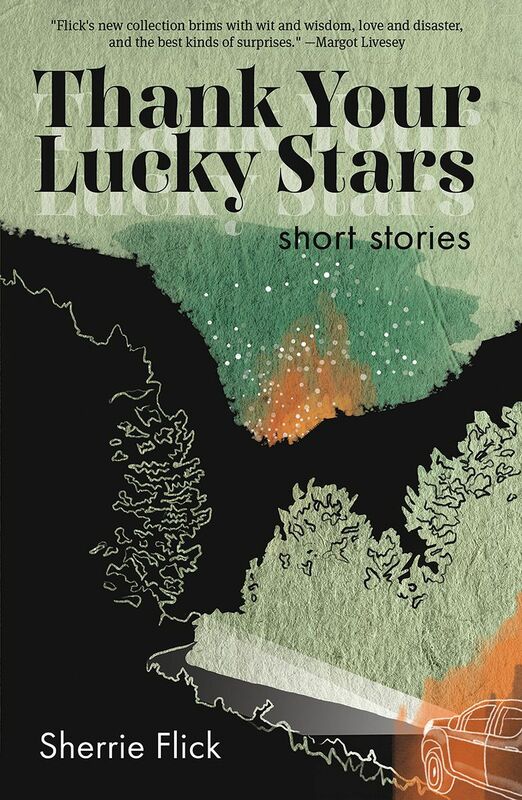 There are 52 stories in Whiskey and 50 in Thank Your Lucky Stars. Some are new and some are old. Most were published beforehand so it took many years before I was ready to assemble the collections. CS: This is your fourth book, correct? Is the experience any different now? In what ways has it changed—and in what ways has it remained the same? SF: The experiences of writing and publishing each book has been slightly different for me. My chapbook I Call This Flirting won Flume Press’ annual contest and Casey Huff, the editor-in-chief had students help him edit and design the book. The work in that book came mainly from my Master’s thesis. Reconsidering Happiness was placed with a big University Press, University of Nebraska, so there were systems in place and marketing and a whole longstanding track for publication that you couldn’t mess with. I wrote the first 60,000-word draft at a 4-week residency at Ucross in Wyoming. It was really intense. I then spent the next three years revising it. Whiskey, Etc. and Thank Your Lucky Stars went through a similar small press process but with different editors. They took more time than the other two books because I was first just focused on publishing individual stories, then on having enough stories to fill out a collection, and then on refining the selection of stories into a meaningful book. It’s the working relationship with an editor that really sets a tone for the whole publishing experience, in my opinion. I had just fantastic editing experiences at both Queen’s Ferry and Autumn House. I feel like we really took each book to the next level by working together. I know a lot of people talk about hands-off editors these days. This wasn’t the case for me. Erin McKnight and Christine Stroud really dug in and pushed me to make my stories the best they could be. I’m really grateful for that. CS: I admire how you take and use small gestures and moments and let them speak for larger issues/concerns. It’s not an easy thing to do. How do these moments come to you? Do you think big picture then find a telling moment/gesture to capture it? Or do you see these little moments and then realize what they’re saying about your story and/or your characters? SF: I’m definitely a small moment, small gesture type of person. I often miss the big picture because I’m standing there staring at a cool leaf. Ha. But seriously, I use observation exercises and walking meditation when I’m not writing so I’ve spent years training myself to notice details. Of course, I didn’t actually realize I was training myself to do this. Even as a child I’d wander around taking long walks around my neighborhood. After I read about Chekhov’s theory of writing without judgment, I figured I first needed to practice looking without judgment. This practice really helped me hone my writing skills as they relate to setting, which had been a craft element I didn’t pay that much attention to in my early writing. Now I see how setting is connected to character is connected to dialogue is connected to plot. The tiniest detail is part of the bigger structure and goals for the story, always. CS: I also felt a strong sense of place in many of the pieces. How important is this to you? What does it bring to your work? SF: Yes, as I mentioned above, it has come to be important to me. I spent a lot of time driving all over the country in my 20s. At the time, I wasn’t actively thinking about place, I was just roaming around with my friends trying to find cool diners, bands, and thrift stores. In retrospect, all that travel helped me understand the many different cultures in the U.S. It helped me understand the bigger social picture, which is of course helpful in coming to understand people and how and why they act the way they do. Once I got interested in rendering setting—in the mechanics of it—I started focusing on both the micro and macro level of it—small details as well as larger place-based orientation. My theory is there are two ways to write setting. The first is from memory. You remember a place and you write it from your emotional connection to it. You aren’t so much going for physical accuracy as emotional accuracy with the details you include. The second is writing setting from research. You know you want to write about a small town in Arkansas, so you go to Arkansas and have some experiences and take notes. You write the story from recent memory and you are concerned about getting details correct, about authenticity. I think a mix of these two tactics is ideal. CS: Some of these stories date back to earlier in your career. In some ways, an older story is kind of time capsule. When you look back, do you see the piece with the same eyes? What, if anything, has changed about your style and aesthetic? SF: Commas! Oh my God. My use of commas radically changed over the years. It ended up being a baffling point of frustration in the copy editing for Thank Your Lucky Stars. Christine Stroud and I decided we wanted the comma use to be consistent throughout the whole book, not just within each story. And that was challenging so we ended up hashing it out over cocktails. It was the nerdiest happy hour ever. Two hours of serious comma talk. I also used entirely too many em dashes in my early work. But your larger question is a good one. Do I see the stories differently? Certainly. Many of the earlier stories went through revisions that refined them and took them to a place I really couldn’t go when I first wrote them because I wasn’t yet mature enough to understand my own characters. Some of these stories were drafted in the mid-90s. Some were published in the mid-90s. A few of the longer stories really did take me over 20 years to write. They went through so many drafts and I just needed the time to turn them into what they wanted to be. I’m a slow but prolific writer. Not sure how common that is. I wrote the story “Dance” in 6 weeks and for me that is a miracle, because it’s long and has a complicated point of view. All of the other long stories in the book took me 10-20 years to finish. With the flash fiction, many of those were published in one form and by the time they made it into the final draft of the book they were edited and revised many more times, sometimes into radically different stories. I’m a little obsessed with time in my writing. I love how memory works and how the past and present can merge in our thoughts so I guess the older stories sometimes seem more like memories that I’m refining and thinking about in the present. CS: You’re also the editor for Best Small Fictions 2018. I think it’s a great series. Can you tell how you became involved with the project? I imagine it’s quite an undertaking. Have there been any unexpected benefits/rewards you’ve discovered in this role? SF: Yes, I took on the Series Editor role for the 2018 volume after Tara Masih (the founder and series editor for the first 3 volumes) approached me with the idea via email. I knew Tara from other anthology projects and the flash fiction world and really trusted her instincts and professionalism. But I wasn’t certain that I wanted to do it. I’m kind of cautious with my time, even though I am always overextending myself. Ha. Not sure how that happens. But we met up for lunch one afternoon when I was visiting friends in New Hampshire. She drove in from Boston and talked me through the process and told me why she thought I would be good for the job while we ate really great Cemita sandwiches at Street in Portsmouth. I had to step down as a reader at SmokeLong Quarterly, which was a gig I really loved and had only been doing for a year. So that was part of my resistance. They’re kind of like family to me. For those readers who might not know, the series honors the best stories under 1,000 words published in the previous year. It’s international in scope. Nominations are accepted from editors and then we also have a small but dedicated group of stealth roving editors who are fierce in looking for good stories and forwarding them my way. We have a group of consulting editors with different specialties who helped make difficult decisions and gave advice. It was wonderful to read through an avalanche of submissions and see gems popping up here and there. I’m really proud of the 2018 anthology. My assistant editors Chauna Craig and Michelle Elvy worked hundreds of hours with me to form a list of finalists that was sent on to Aimee Bender, our guest editor, who picked the list of winners. Aimee was great to work with, too. I feel really lucky in that sense—my whole team was ready to roll. I was surprised at how much I loved the collaborative nature of it all. Wrangling the organism that was the anthology into final form, coming up with systems and deadlines and goals. Working with Braddock Avenue Books. I’d love to edit another anthology in the future. But with that said, I’m heading back to SmokeLong, this time as an Associate Editor starting in January 2019. The Best Small Fictions will continue on with a new series editor and a different press. As far as benefits and rewards, it has been great getting to know the contributors and the editors who nominated them via email correspondence. Every time I judge or read for a contest or do something like this series editor gig for BSF I gain insight into the process of publishing and the subjectivity that is inevitable in this kind of pursuit. CS: Your new collection features both short and long stories. How do you make that decision of what will be flash and what will be a longer piece? Where in the process does this come to you? Do you sometimes start a piece thinking it will be flash then realize it wants to be longer—and vice versa? What elements dictate this? SF: At this point in my career, I can pretty much know the scope of the story I’m writing when I begin. I definitely understand the innate structure of a 750-word story. This comes from repeated practice. (I spent an entire fall semester writing one 750-word story a day.) Longer stories don’t actually come to me as often. My default setting is flash. But sometimes there’s an idea—like a guy named Lenny who sells suits out of a van (“Lenny the Suit Man”). Or, a guy named Kenny who goes door-to-door dressed as a cowboy taking pictures of people atop the horse he has in tow (“Singing Cowboy, Dayton Ohio”). These stories need some breathing room in order to make sense. I could squeeze them into a piece of flash but then the character development just wouldn’t be there. “Dance,” another long story in the collection had a mandate. It was written for an anthology and it had to be eight pages long. It was also the story I mentioned above that I wrote in 6 weeks. For that one I wrote toward the deadline starting with a character named Viv who was chanting “iccccccce.” Viv needed more ice for her whiskey. That’s the premise I started with—soon there was Matty, an ex construction worker in an apron, and a deerhead named Mr. Bojangles on the wall. Once I had that triangle of tension the story kind of wrote itself. On the other hand, two other long stories “Still Life” and “Expectations” were pulled from what might be failed novel manuscripts. Either that or they’re excerpts. Time will tell. CS: I read you’re now working on a creative nonfiction (CNF) book. Can you tell us about the project? Do you find your background in fiction helpful as you take on this project? And thinking about the other end of things—do you think you’ll take anything from your immersion in CNF and bring it back to your fiction? SF: Yes! I’ve been working on this book for a year and a half. It’s under contract with In Fact Books, which is Creative Nonfiction magazine’s book list. It doesn’t yet have a title. I was a CNF fellow in 2015 and wrote a longform essay that focused on Pittsburgh’s City Steps. I live in Pittsburgh and my neighborhood, the South Side Slopes, is surrounded by steep public staircases. These staircases were an infrastructure solution at a time when few people owned cars. Some are actually listed as streets on maps, which can get confusing for those people visiting from out of town. CNF liked the essay and thought it could serve as a chapter of a larger project and asked me to write up a proposal. They liked that and I’ve been plowing forward ever since. The book itself looks at different aspects of Pittsburgh and my relationship to them while it also charts how I became a feminist. So it follows me from Western PA (I was born in Beaver Falls) to New Hampshire, California, Nebraska, and back to Western Pennsylvania (Pittsburgh). Writing nonfiction is an entirely different animal. Fortunately I wasn’t plunging into this book project completely cold. 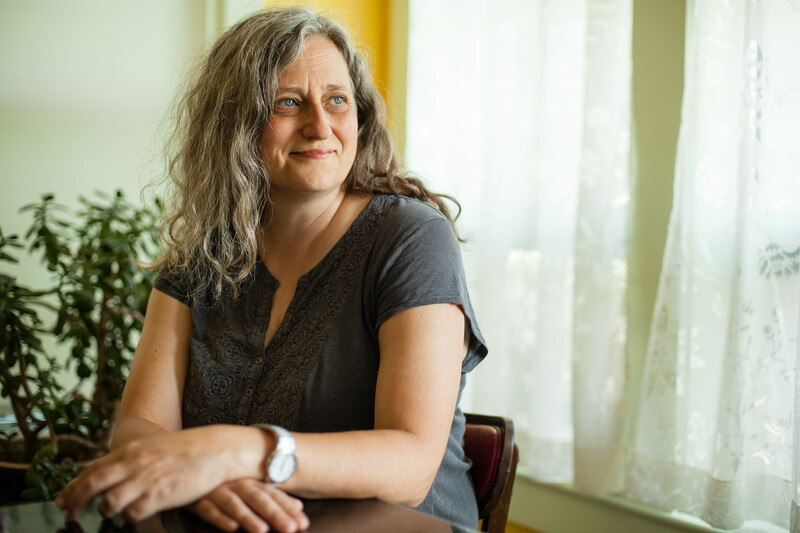 I’ve been teaching in the Food Studies at Chatham University and working as a freelance food writer, publishing work in places like Superstition Review, Pittsburgh Quarterly, and the Wall Street Journal for nine years now. I also freelance write branding copy. So I’ve learned to be articulate, truthful, and concise at the same time, which isn’t as easy as it sounds. I love the honesty in creative nonfiction. In a sense the truth creates an outline and then that frees me up to think more deeply about concepts and theories. For each chapter in this book I do a lot of in-depth research and also primary interviews and firsthand experiences. It has allowed me look at my relationship to place in an entirely new way. It’s forcing me to come to terms with my homeland. I’ve had to think a lot about Gen-X and the 90s, rivers, dying industrial towns, toxic masculinity, Andy Warhol, urban gardening, and the Western PA dialect. There’s a kind of pared down voice I’ve established in these pages and I’m excited to take it back into my fiction. I’m really excited to get back to fiction. I think this voice is going to let me work on another novel. Not sure. But first I can’t wait to do some serious short-form lying. SF: Short-form lying for sure. Ha. I haven’t let myself write any flash fiction while working on the nonfiction project so I’m chomping at the bit to write a bunch of new little stories. I’m interested in writing some more nonfiction and turning back to these abandoned novel projects. I also wouldn’t mind exploring some hybrid work now that I have this range under my belt.